It’s a celebration! 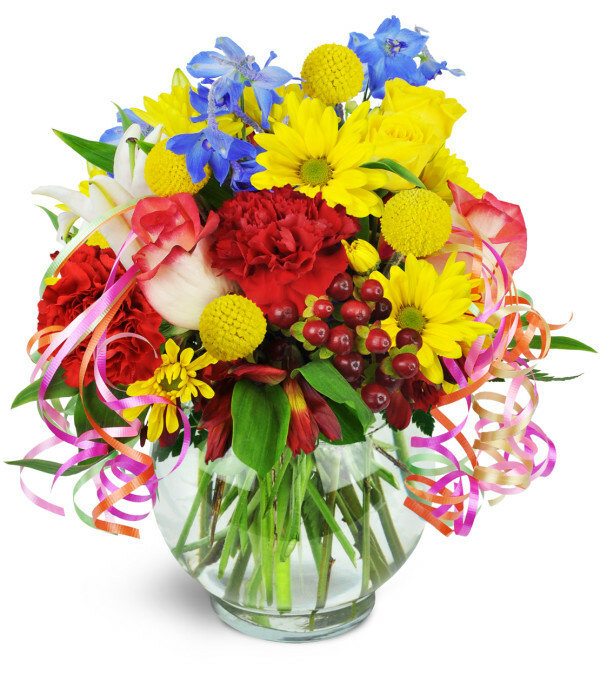 Send your biggest, brightest birthday wishes with our colorful bouquet! A rainbow of blooms is festively topped with curly ribbons for a gift to remember. 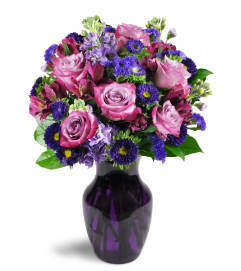 Roses, carnations, lilies, and more are arranged in an adorable bubble vase. Curly ribbon tops it off! Thank you one of the most gorgeous arrangements ever, delivered earlier than expected, perfectly on time exactly what I ordered! 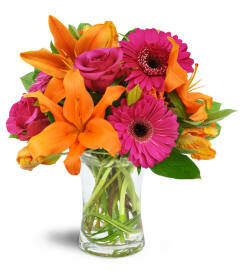 Mugford's Flower Shoppe is a Lovingly Florist in Westborough. Buying local matters. Discover how Lovingly supports local florists. Copyrighted images herein are used with permission by Mugford's Flower Shoppe.